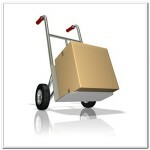 Shipping & Returns Policy - Perfect Decor Inc.
Vancouver, Burnaby, Surry, Richmond and Coquitlam. We ship goods to other regions by mailing. us for a refund, exchange. 3. All returned goods must be in original package with all accessories. Missing accessories will result in a charge of the actual replacement cost of those items. The shipping fee will be charged if the goods are shipped by mailing. 4. Custom orders, Special orders, and Close Out orders are NON RETURNABLE.